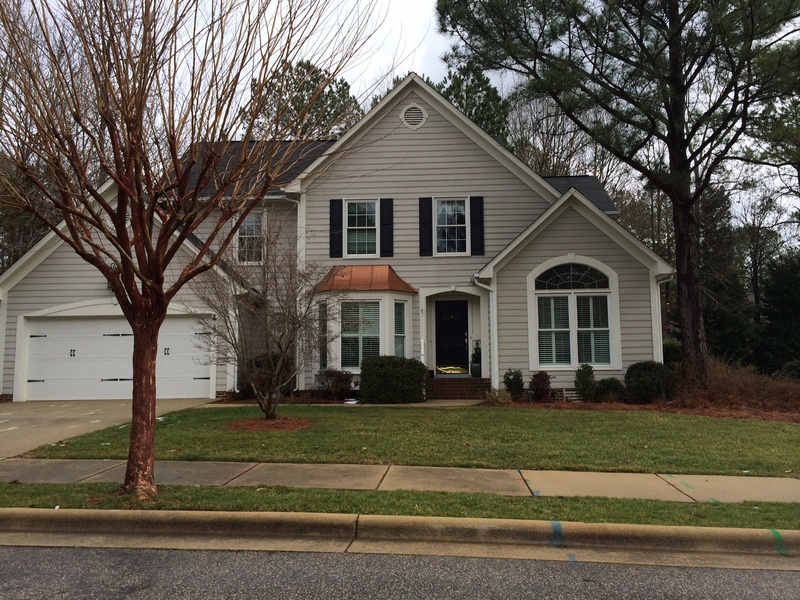 We have a new Yard of the Month for February, 2014: Mimi Raub of 2708 Coxindale. Her yard shows what can be done with fresh pine straw and plantings. Mimi is no stranger to Yard of the Month, having finished first in May of last year. Congratulations Mimi for another first place finish. Finishing second are Michael and Sheri Farmer of 8524 Averell. Their corner lot always looks great this time of year. In fact, they have a first place finish during each of the last three years. It’s always a treat to see their home as we drive into the neighborhood. In third are Graham and Alice Kennedy of 8516 Wheeling. Their home always has a neat manicured look, no matter what the season. This is the eleventh time that the Kennedys have placed in the finals in the last two years, having placed first in June of 2012. 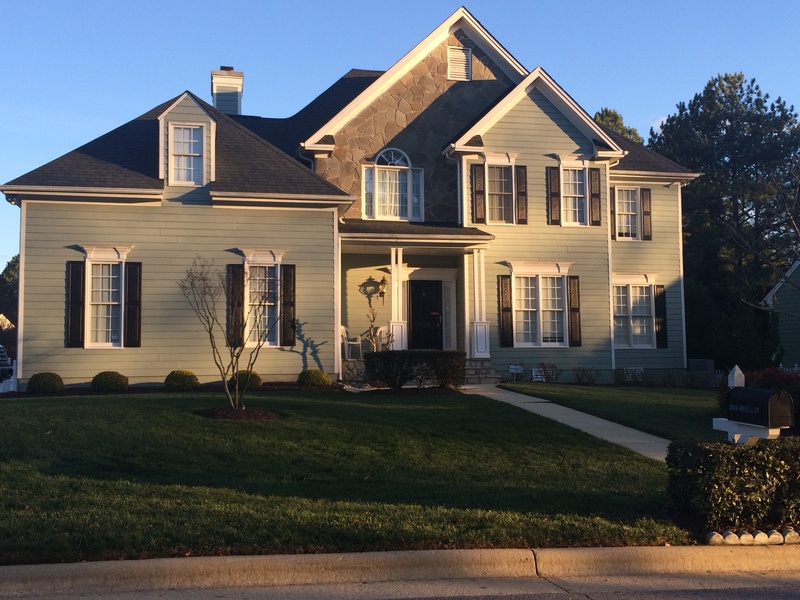 It’s a new year and we have a new Yard of the Month! 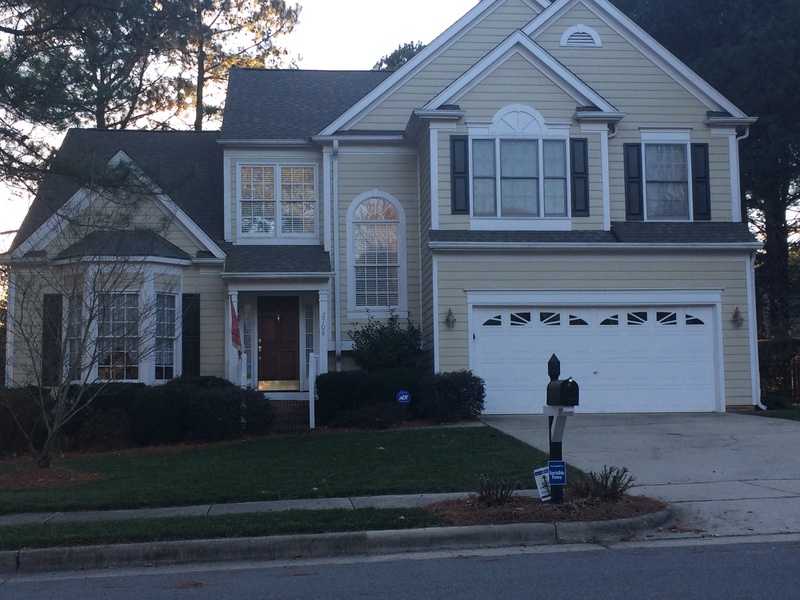 For January we would like to recognize Kimberly Hicks of 2504 Sugar Maple. 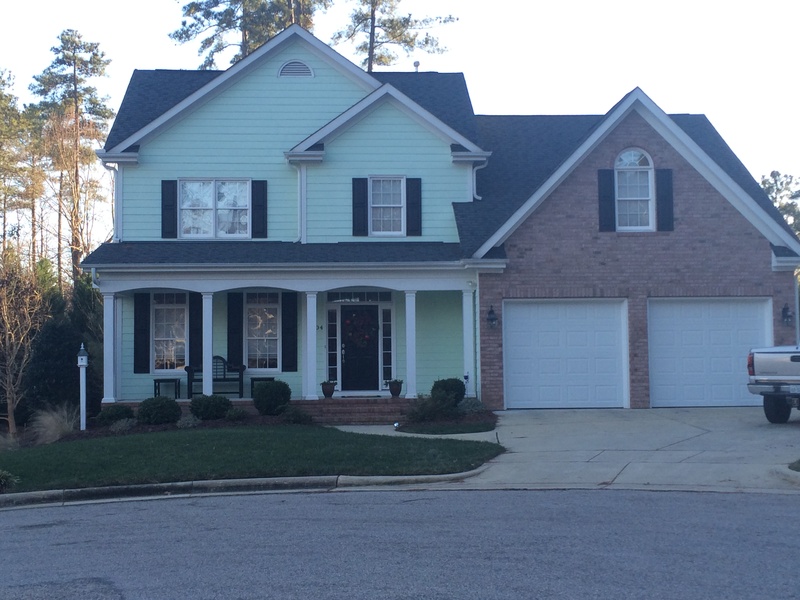 The vibrant green lawn is testament that North Carolina lawns can look really good in winter. Fresh mulch covers the beds and colorful pansies add the right punch of color. This is the third time that Kimberly has made first place in the last 4 years. of 8524 Averell. Their corner lot always looks great this time of year. In fact, they have a first place finish during each of the last three years. It’s always a treat to see their home as we drive into the neighborhood. In third is Mimi Raub of 2708 Coxindale. Her home shows what can be done with fresh pine straw and plantings. Mimi, too, is no stranger to Yard of the Month, having finshed first in May of last year. And we’re sure this won’t be the last time we see Mimi in the finals. Congratulations to each of the homeowners for their consistent quality care they give to their homes and yards and thanks to Jamie Visocan who assisted me on the judging panel. 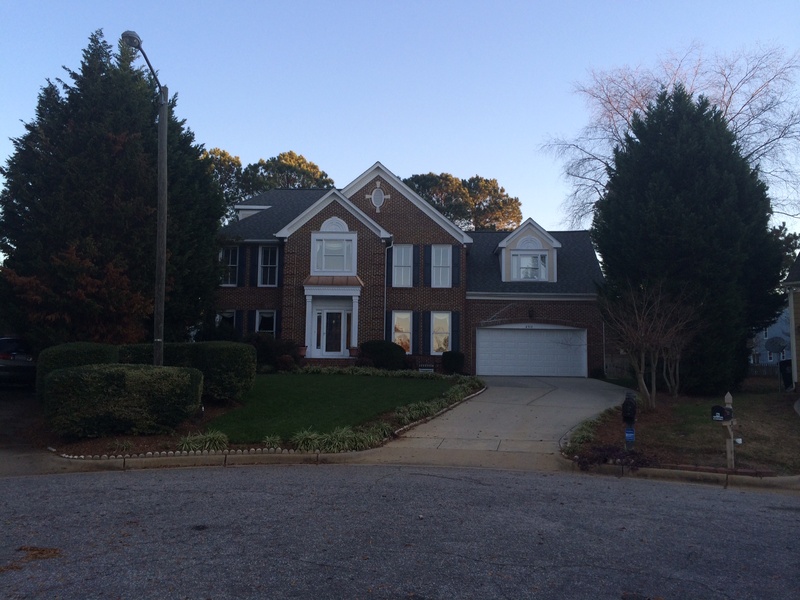 Yard of the month for December is awarded to Gary and Margaret Wilcox of 2605 Meadow Star Court. This fanciful display shows what marvelous effect can be achieved with the judicious use of color. The committee loved the creative wreath treatment of the oval window, the green Christmas tree with presents on the porch and the blue-scarfed snowman. This is the first time the Wilcoxs have won or placed in the finals. It is a delight to see, so let them know you enjoy it. Finishing second are Danny and Karen Watkins of 2609 Coxindale Drive. Their home is decorated in the traditional style with the Christmas tree and candles in the windows, wreath on the door and the whole house flood-lit for a warm glow. In third are Chris and Laurie Burchall of 8414 Yucca. Their fanciful lighting gives a cottage feel that is warm and friendly. 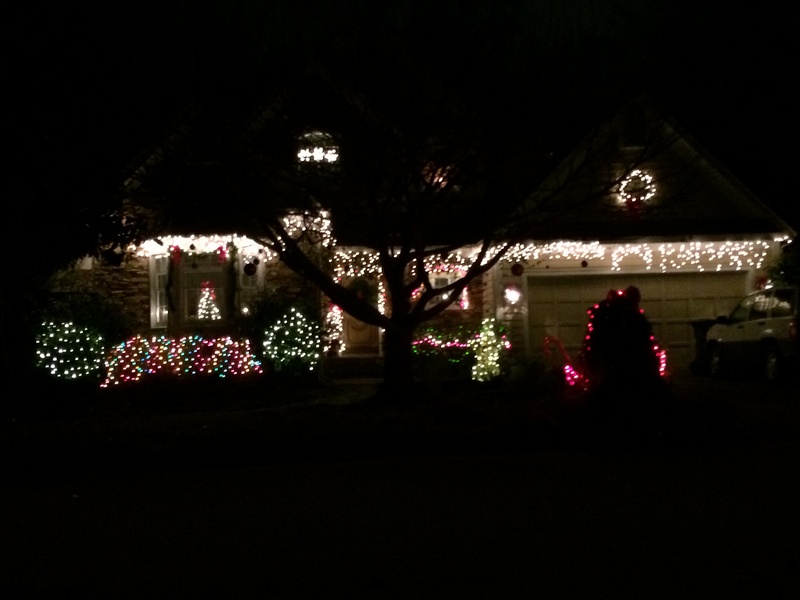 The Burchalls were last year’s first place winner for December. 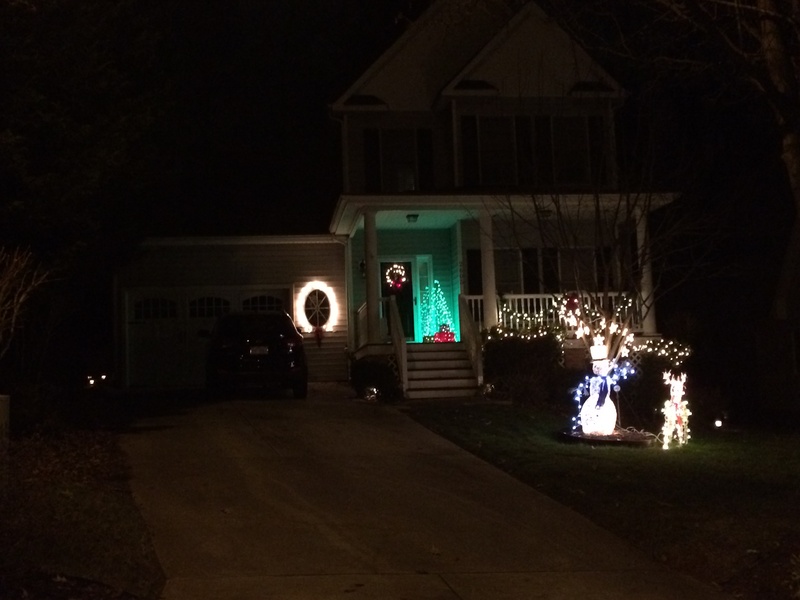 The Committee would also like to recognize Mary Frances of 8501 Wheeling Drive with and Honorable Mention for the tasteful decorations she provides. Mary won Yard of the Month in of this year. Congratulations to each of the homeowners and thanks to Jamie Visocan and Larry Deckard who assisted me on the judging panel. 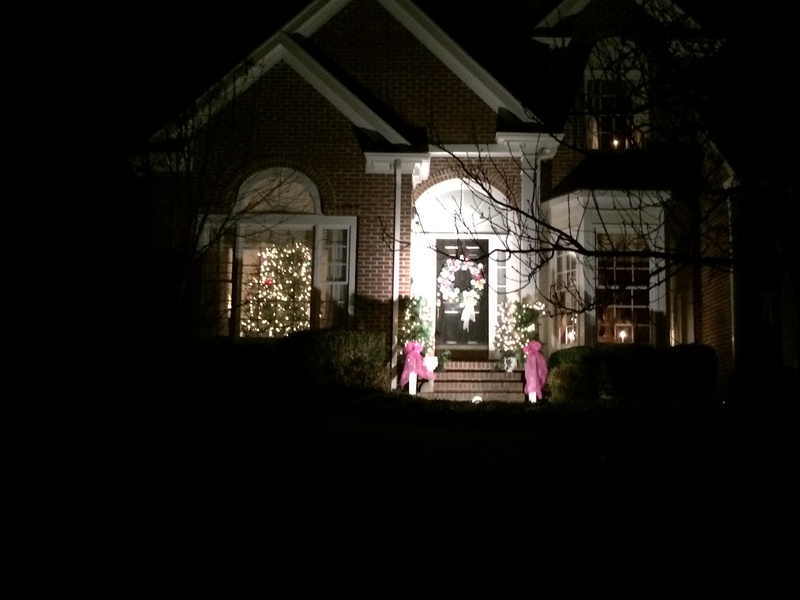 For December, Yard of the Month will be awarded to the home with the best decorations. So bring it on–lights, wreaths, swags, greenery, … you get the idea. Several homes have started already. But we won’t judge until Sunday, December 22, 2013, so you’ve got until then. Happy Holiday decorating! 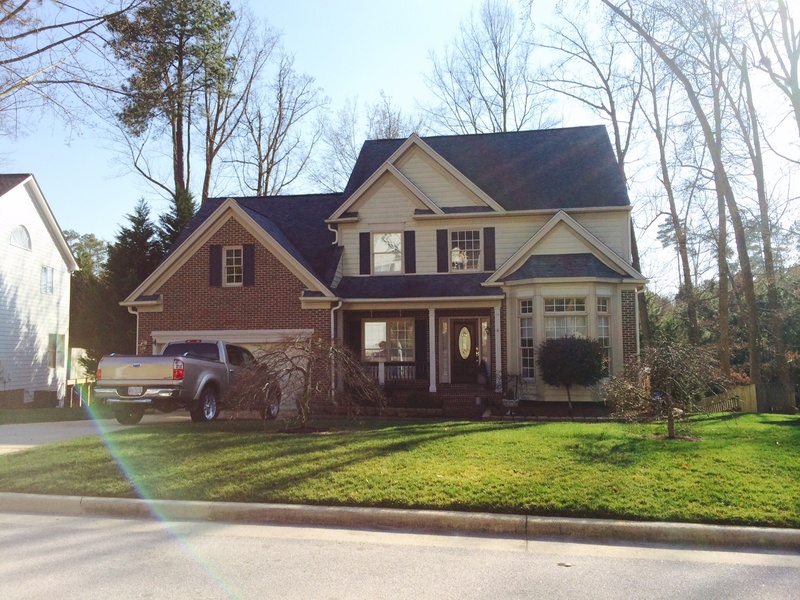 Yard of the month for November is awarded to Carl and Karen Titka of 2504 Coxindale. This is the first time the Titkas have placed in the finals, not to mention coming in first. 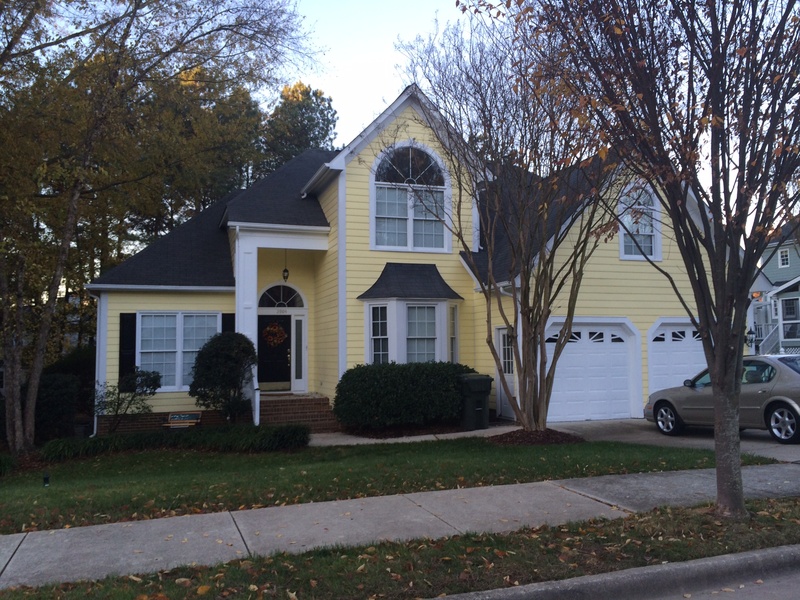 The bright new paint in a cheery Fall yellow is anchored by a colorful leaf wreath on the door. The tidy appearance of the lawn and landscape make this yard a delight to see. Averell Court. This is their fourth time finishing in the finals, having achieved first place in August 2011. In third are Ed and Jeanne Burtoft at 2704 Coxindale. This is the second time the Burtofts have joined the top three. The lawn is a lush green carpet bordered by nicely pruned shrubs. 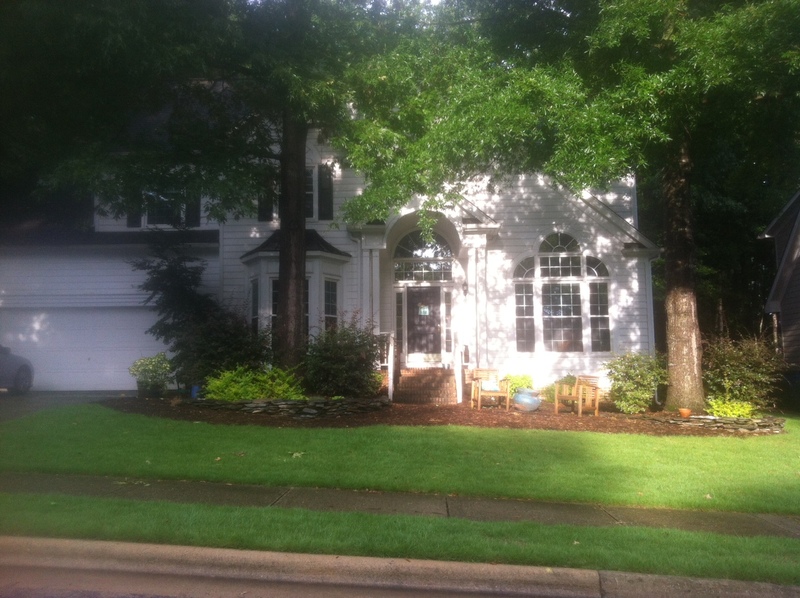 Harrell and Susan Queen of 2816 Coxindale finished first and are our October Yard of the Month. This is the 7th time the Queens have placed in the finals. They finished second in November of 2012, second in June and July and 3rd in August and September. 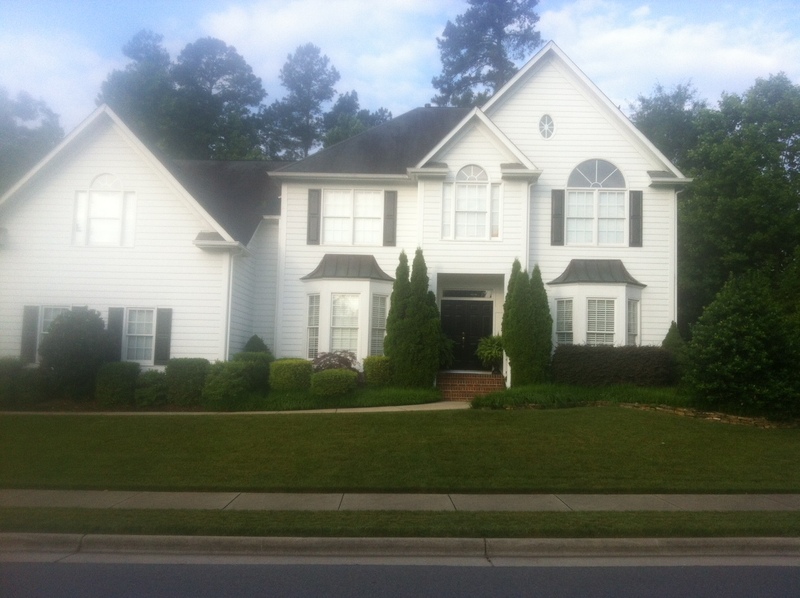 It seems that their yard always looks perfectly maintained and the flush of the encore azaleas added that needed extra dash of color. Finishing a very close second are Bryan and Kristen Maness of 8508 Wheeling. This is their second time placing in the top three and their yard could easily get recognition for most improved. All their work last year in putting down zoysia sod has paid of with a lush carpet of lawn that invites one to nestle into the chairs under the shade of the oaks and pines. Finishing third are Ed and Jeanne Burtoft at 2704 Coxindale. This is a first time for the Burtofts to join are top three, but probably not the last. The lawn is a lush green crapet punctuated by niclt pruned shrubs and colorful seasonal flowers. Congratulations to each of the homeowners and thanks to Jamie Visocan and Larry Deckard who served with me on the judging panel. 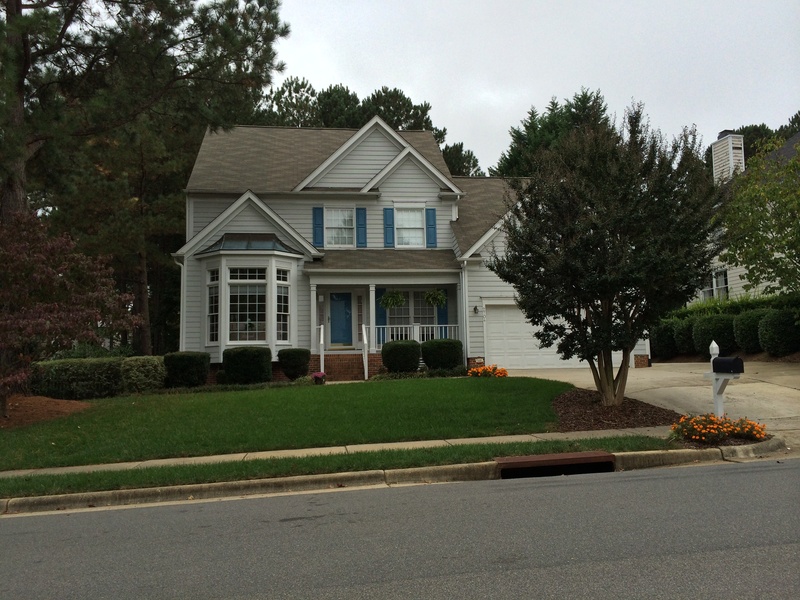 Yard of the Month for August is awarded to Charles and Robin Markham of 2640 Iman Drive. Their yard is at its best in the peak of summer. The Bermuda grass lawn is a lush green carpet and the orange and yellow lantana add vibrant color. This is the second time the Markhams have placed first, having done so in September 2011. Harrell and Susan Queen of 2816 Coxindale finished third. This is the fifth time the Queens have placed in the finals. They finished second in November of 2012 and first in January of this year and second the last two months. 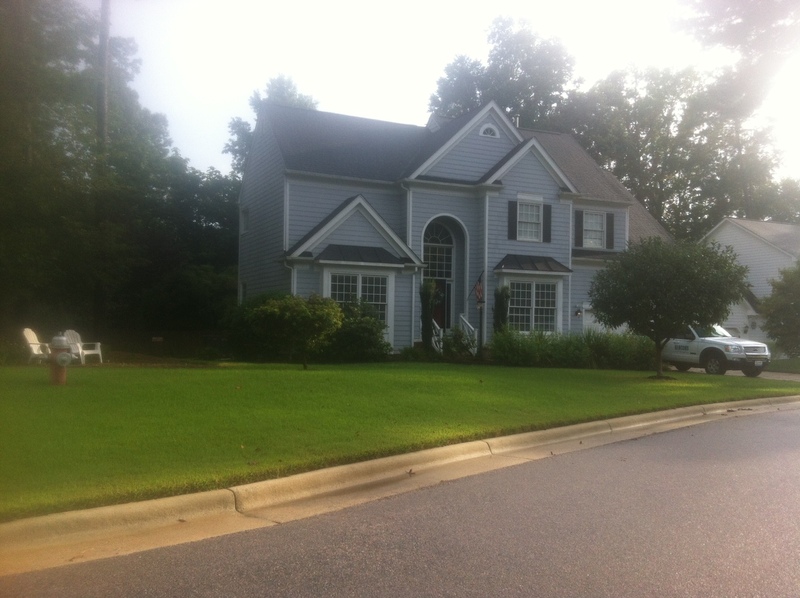 It seems that their yard always looks perfectly maintained.